Arihant’s reactor going critical is indeed a major breakthrough and could not have come a moment too soon. Further progress on operationalising this capability will be closely observed across the globe. On August 11, 2013, India woke up to the headlines that the nuclear reactor on Arihant, India’s first indigenous nuclear submarine, had acquired the critical threshold. This remarkable achievement propelled India into an exclusive club of the big five—USA, Russia, UK, France and China—as only the sixth to achieve this feat. This was also a critical milestone for the nation and vindicated the confidence that had been reposed in its scientific and technological community. It also signaled the coming of age of India’s prowess in harnessing nuclear technology in successfully designing and building a miniaturised reactor for submarines. The synergy between the Navy, the Defence Research and Development Organisation (DRDO), the Atomic Energy establishment, academia and Indian industry, both public and private, had a major role to play in the success. It also highlighted the efficacy of good project management with adequate financial and functional autonomy and perhaps most importantly the unwavering four-decade-long determination and perseverance to achieve this capability. The Prime Minister hailed this achievement and stated that this is “a giant stride in the progress of our indigenous technological capabilities. It is a testimony to the ability of our scientists, technologists and defence personnel to work together for mastering complex technologies in the service of our nation’s security”. India became a nuclear weapon state in 1998. A nuclear doctrine soon followed, the cornerstones of which were ‘no first use’ and ‘minimum credible deterrence’. It therefore followed that we would need to have a potent, robust, invulnerable and effective second strike capability if we are to seriously deter any aggressor. Submarines are regarded as the most effective second strike platform in the nuclear triad because of their inherent attributes of stealth, surprise and concealment. India currently has a land and air delivery capability which due to its inherent vulnerability to detection and neutralisation does not provide a credible enough deterrence capability which is so essential for an effective second strike. It is therefore imperative that the Arihant is operationalised at the earliest to bridge this vital capability gap. It has been stated that the Arihant would be deployable on its primary mission within the next 18 months or so. This appears to be an optimistic assessment as there is still quite some way to go to reach that level of readiness. The submarine is yet to go to sea even for a surface run. A warship has to be able ‘to float’, ‘to move’ and ‘to fight’. A submarine also has ‘to dive’. So far, none of this has been successfully proven. Additionally, Arihant’s primary weapon has also never been embarked or deployed and would need to be proved. This is also the first submarine of a new class designed from scratch. A submarine is a very complex piece of machinery and a nuclear submarine even more so. Countries which have been building nuclear submarines for years also take time to operationalise a new class. 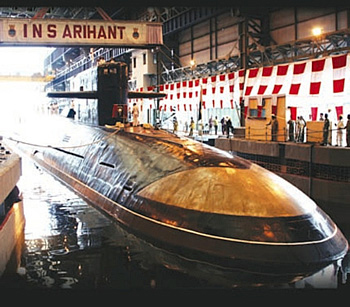 Arihant is expected to commence its sea trials shortly. Harbour acceptance trials of various systems and equipment would therefore be nearing completion. Simultaneously, the work-up of the crew would also be in progress. In this case, since none of the crew has any previous operational experience on this type of submarine, it would be an exacting process. Time, patience and effort would be essential to ensure that each and every member of the crew including the additional stand-by/replacement crew has attained the necessary expertise. In a platform as complex as this, there can be no room for human error. The sea acceptance trials would follow. The submarine would first have to operate on surface to address all defects and only after this would be allowed to dive. Thereafter a series of extensive trials would ensue to ensure the submarine’s readiness for commissioning. Unlike conventional submarines, the presence of a nuclear reactor onboard necessitates an extraordinarily high degree of safety, redundancy, resilience and quality control as these have to operate under unique conditions with varying requirements of power, inaccessibility for long durations at sea and restrictions of the operating environment. All this would undoubtedly have been taken into account while designing, building and installing the reactor onboard. Every possible parameter would need to be proved at sea in varying conditions for its flawless functioning over a sustained period of time to instill the confidence that the submarine is fully fit for purpose prior to its first operational deployment. If viewed in perspective, the submarine is only a platform required to deliver the desired effect—kinetic or otherwise and is primarily the means to an end. Ultimately it is the effect that really matters. Arihant is expected to be armed with the K15/BO5 missile armed with a nuclear warhead. The weapon was successfully launched from an underwater pontoon earlier this year. However, the operational availability of the weapon in adequate numbers and its guaranteed performance on that one critical occasion would require a major validation process. This would require a series of firings under varying environmental conditions prior to its embarkation for operational deployment. For a second strike to have the desired effect, this capability will have to be honed to a very high degree of efficiency and effectiveness. A conventional submarine undergoes a series of task examinations before it is cleared for combat deployment to ensure that the crew is fully trained to deliver its lethal ordnance. In SSBNs, these would be even more stringent. Strategic missiles require a very sophisticated and effective command, control and communication organisation. The validation of the command, control and communication structure to ensure the submarine is able to carry out a time critical retaliatory second strike from wherever it is deployed would require the entire nuclear infrastructure be it political, military, scientific or industrial to be able to work together seamlessly towards establishing a robust and failproof system. Operating and maintaining nuclear submarines require highly skilled and extremely well-trained professionals. In the case of Arihant, it is the first of her type and the crew does not have the benefit of prior experience in nuclear submarines. Understanding the intricacies of a nuclear submarine and adapting to it is an evolutionary and ongoing process which cannot be replicated either in harbour or in simulated conditions. These can at best provide a degree of understanding of the conditions likely to exist onboard at sea. Ballistic missile submarines operate for long periods at sea and because of the nature of their role and deployment, each member of the crew needs to be physiologically and psychologically adaptable to the challenging conditions onboard. Any chain is only as strong as its weakest link and this is particularly true of submarine operations. Training of the crew and the additional crew is also a challenging task. Availability of trained personnel will be a recurring requirement, as crew members will have to move on to meet various career milestones. 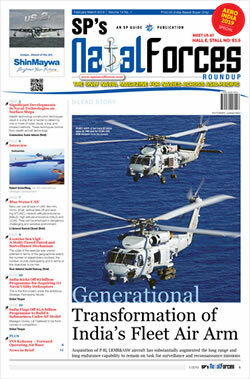 The Navy has ambitious plans for developing its undersea capability in the next decade or so with a mix of nuclear powered ballistic missile boats (SSBNs), SSNs and SSKs. 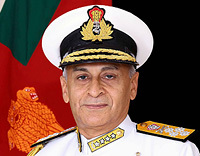 A calibrated and well defined manpower induction plan would need to be put in place at the earliest to ensure requisite human resource skills onboard submarines operating in a challenging geopolitical environment. India is only the second country in the Indo-Pacific to have a sea-based deterrent after China. The regional reaction so far has been quite muted. However, a capability of this magnitude is bound to have an impact on the regional maritime security calculus particularly in our immediate neighbourhood. This may not be immediately visible but it would provide adequate propaganda fodder and may provoke our western neighbour into seeking a similar capability even if “we have to eat grass” as one of their former premiers had famously stated. Arihant’s reactor going critical is indeed a major breakthrough and could not have come a moment too soon. Further progress on operationalising this capability will be closely observed across the globe. It is also understood that two more similar submarines are on the anvil. Their induction would enable a continuous presence at sea thus truly validating our second strike capability and credible deterrence.